The Sighting Board set is a popular, quick and accurate way to measure vertical alignment. 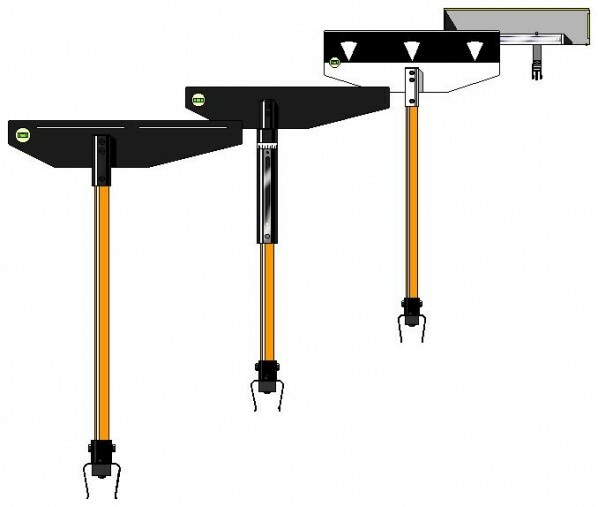 It is particularly suitable for repairing and lifting in areas of subsidence. The three boards have heavy-duty spring grip rail feet and integral spirit levels for vertical accuracy. The intermediate board is adjustable up to 24mm of lift in 0.25mm increments and a spring indexed system allows further measurement up to 160mm in 5mm increments. The target board is translucent allowing visibility in all daylight conditions, with the option of fitting in a backlight for use at night or in tunnels. The boards are constructed from nylon, acetal and GRP, ensuring they are electronically non-conductive, lightweight and robust.